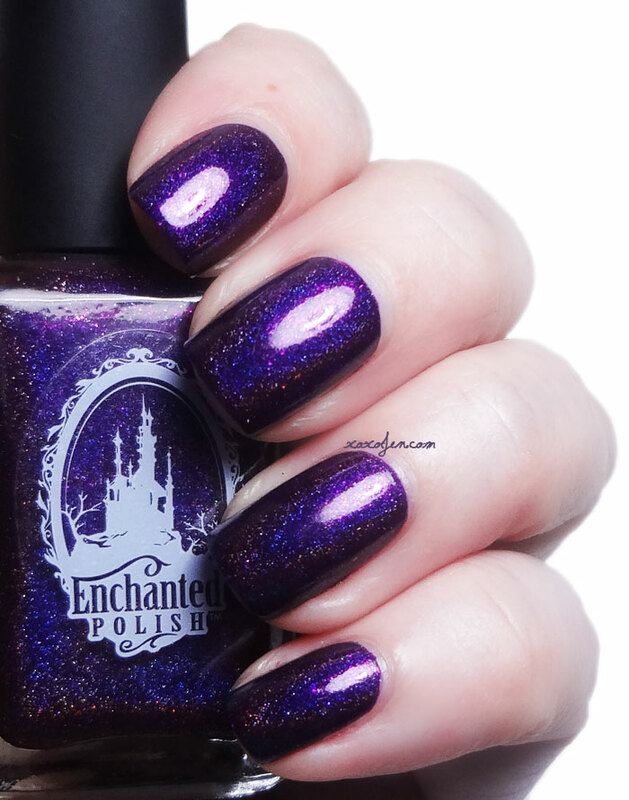 Another favorite of mine is Enchanted Polish and January's 2015 shade just happens to be purple! 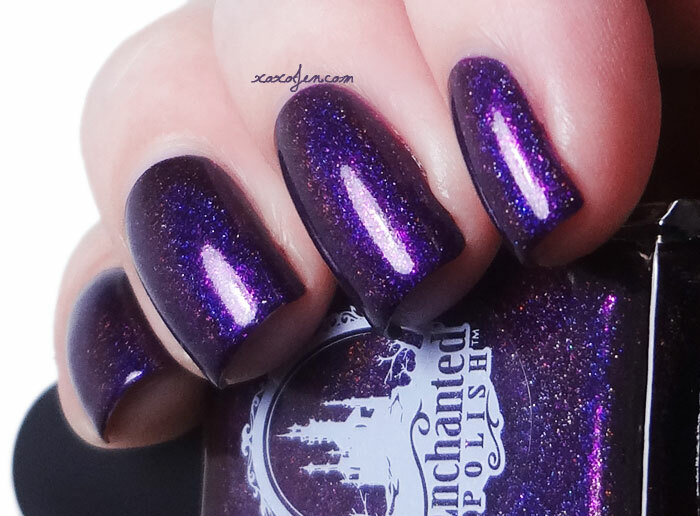 The dark purple jelly polish has depth and a certain richness of color. The entire holo rainbow is present even under my lamp indoors. I enjoyed wearing two coats with a topcoat, although one heavier coat might be enough to be opaque. 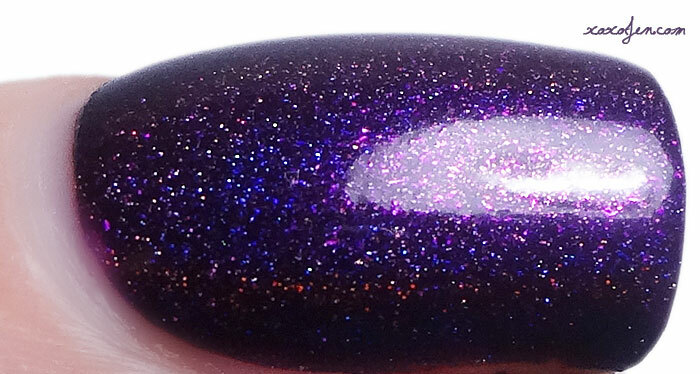 I found the polish to be a bit on the thick side but still fairly easy to apply. If you like my review, please share it! Gorgeous! I can see why you like it so much.